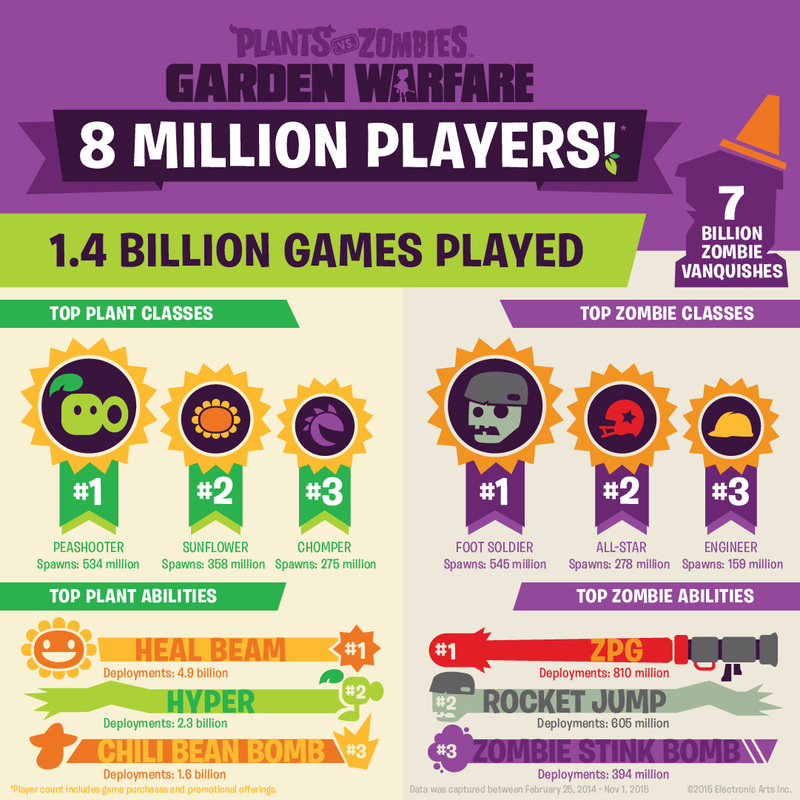 While they didn’t provide a platform breakdown, EA announced today that Plants vs Zombies Garden Warfare has seen more than eight million players since first launching in February 2014 on Xbox One and Xbox 360, then later on PC, PlayStation 4, and PlayStation 3. To celebrate the milestone, EA is giving every single Garden Warfare players 80,000 coins, which are automatically added to your account. On top of that, “players of the original game will be able to transfer almost all of their unlocked characters into Garden Warfare 2 right from launch,” excluding the four promotional characters: Berry Shooter, Citrus Cactus, Chester Chomper, and Dr. Chester. Plants vs Zombies Garden Warfare 2 launches on February 23, 2016 in North America and February 25, 2016 in Europe for PS4, Xbox One, and PC. 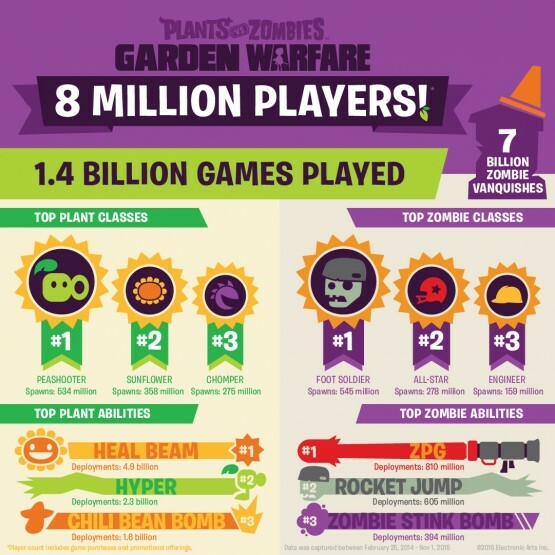 Will you be jumping back into the first Garden Warfare?